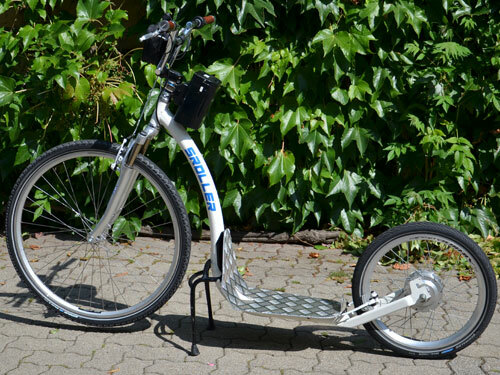 Electric Bike Solutions GmbH professionally converts bikes into pedelecs or e-bikes. On this page you find nine conversion projects created by us to get yoursef inspired. From our own experience and the feedback of satisfied customers we know that almost all types of bike can be retrofitted with excellent results. Find more about our conversion service here. Registration-free pedelecs are considered as normal bikes by legislation. Pedelecs are ideal for city traffic or commuting. The 250W motor supports you up to speeds of 25kph and turns hills into flats. At the heart of our pedelec conversion kits you find light Bafang gear motors in front or rear wheel. Different shapes of EBS pedelec batteries allow them to be attached to either the water bottle mount, a special pannier rack or at the seatpost. Above you see a Staiger Ladies' bike that we converted into a pedelec using an EBS Plug & Drive 250W Front Wheel Conversion Kit. The 11.6Ah EBS Pedelec Pannier Rack Battery is stored inside a specially designed pannier rack. A classic and elegant approach is the Salerno presented by Hartje Manufaktur. A true innovation is the NuVinci gear hub that offers stepless shifting under load. 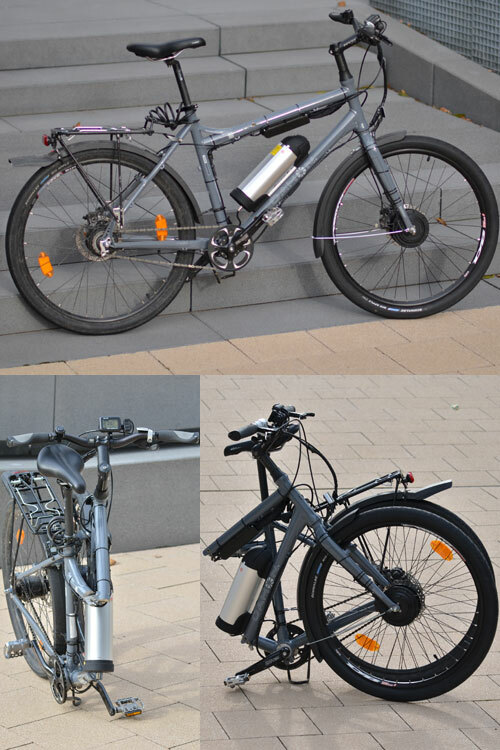 The combination of the EBS Flexible 250W Front Wheel Conversion Kit and EBS Pedelec Water Bottle Battery results in a comfortable gentlemen's bike for relaxed cycling over short urban distances. You can test ride this bike at Heidelberg. 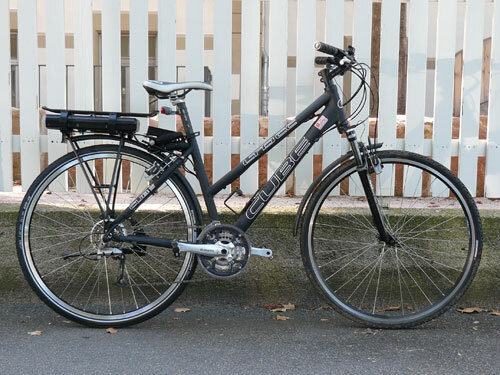 Area of use: Commuting by train, leisure time, holidays, city "weasel"
in the rear wheel our 250W pedelec conversion kits. 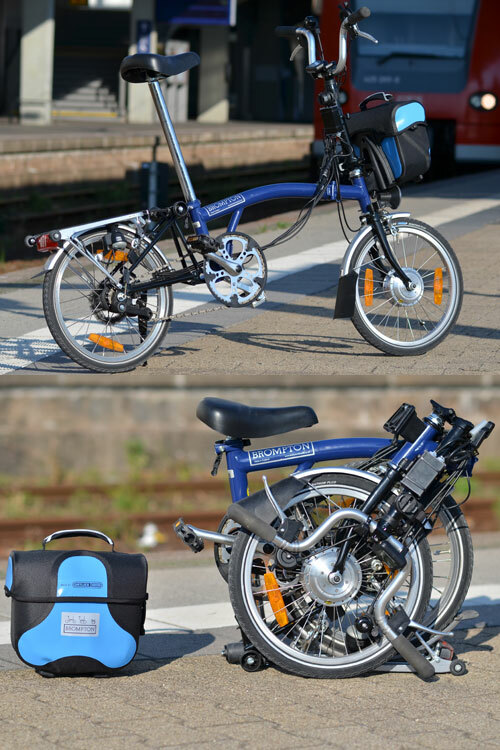 Folding bikes become increasingly popular, since they can be easily transported by car and even by ICE (German Railways high-speed train). This way you close the "mobility gap" between long-distance travelling and foot-strolls. One problem, low range, was caused by the small wheels and a small selection of gears. EBS got the solution a folding bike conversion kit. A great range and climbing abilities turn your folding bike into a mobility marvel. 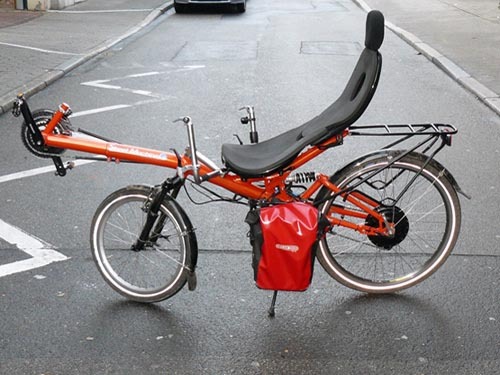 This picture shows a Brompton Folding Bike is fitted with an EBS Folding Bike Front Wheel Conversion Kit and an EBS Pedelec Seatpost Battery. 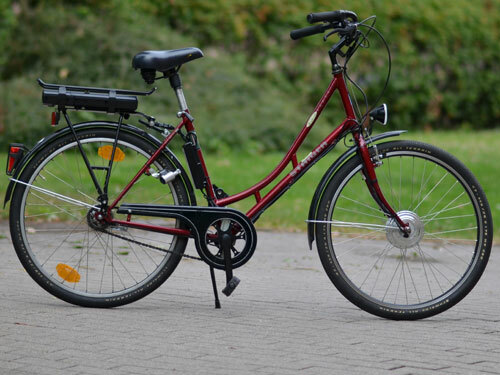 This Dahon Cadenza was retrofitted with an EBS Plug & Drive Front Wheel Conversion Kit. Power is supplied by an EBS Pedelec Water Bottle Battery. A special cable routing enables the bike still to be completely collapsable. 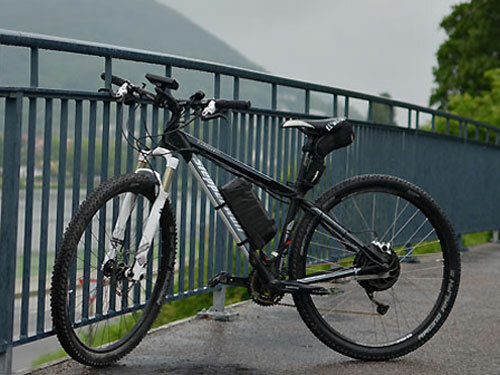 Trekking bikes are suited for longer tours and short-distance bike travelling. Due to its versatile equipment trekking bikes can be used off-road on light gravel or forest roads as well as in road traffic. A motor will significantly increase range for touring and steep hills will no longer exhaust you. This Cube LTD CC was retrofitted with a EBS Flexible Rear Wheel Conversion Kit. The system draws its power from an 11.6Ah Pedelec Pannier Rack Battery. It is safely and unobtrusively stored inside the special pannier rack. Fully MTB are used to be ridden off-road, especially downhill. Before the downhill the way uphill needs to be conquered. With our Uphill Mountainbikes a powerful PUMA or BMC motor does the work for you. Riding an electric MTB off-road is as fun as doing motocross. The Cube Freelite is made for downhill riding The installed BMC V2T Rear Wheel Conversion Kit will make riding uphill as enjoyable as going downhill. For short distances the motor can negotiate slopes of up to 20%. The system is supplied with electricity by a 48V battery with an 11.6Ah capacity. For the battery a special mounting bracket had to made from aluminium. It provides safe attachment and fast removal of the battery. The controller is stored inside a small saddle bag. 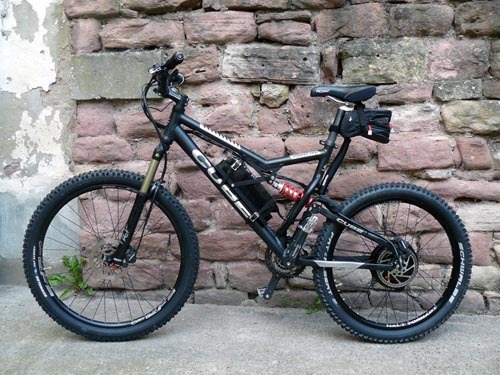 This Steppenwolf features a BMC 1000W Rear Wheel Conversion Kit and an EBS Hi-Power E-Bike Battery 48V with 14.5Ah. At the handlebar there is a Cycle Analyst 2.3 with large LCD screen and the 6-level display with start-assist and battery gauge. The EBS Programmable Controller for sensor motors is neatly hidden inside the saddle bag. Recumbents excel by a very comfortable seating position, low wind resistance and efficient power transfer. This makes them comfortable to ride over long distances. A slight drawback is going uphill, bikes with conventional frames do a lot better here. 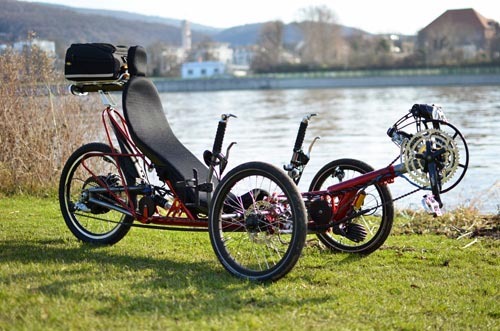 To convert a recumbent into an e-bike or pedelec offers two major advantages: On hills you will be supported bay the e-drive to balance the constructural disadvantage. The major benefit of recumbents is increased even more extending the range. The HP Velotech Streetmachine was retrofitted with a BMC V2T Rear Wheel Conversion Kit. With the high-quality BMC motor the bike can accelerate uphill to up to 35kph (22mls). The battery is stored inside the Ortlieb low rider bag. Featuring a rated voltage of 48V and a capacity of 22.3Ah, at moderate support levels it enables trips of up to 150km (90mls). This power house is extremely light at 5.5kg (12.1 lbs). Riding a trike you can enjoy excellent riding comfort in a recumbent seat and outstanding cornering abilities. These ride characteristics are enabled by the low centre of gravity and the tree-wheel design. 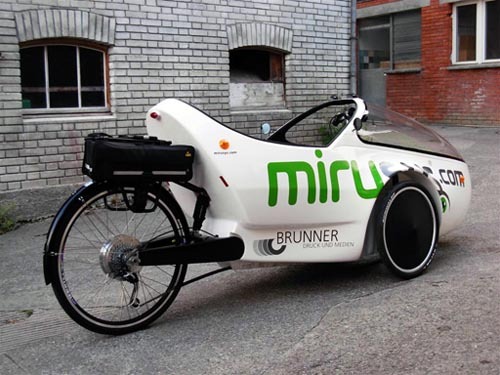 The Steintrike Mungo Sport war converted into a pedelec by a PUMA 250W Rear Wheel Conversion Kit. Brake activated kill switches provide additional safety. The 6-level display enables a fine modulation of speed and shows remaining battery capacity via four LEDs. The battery is stored in a bag behind the seat. The Cruiser is the Harley Davidson among bikes: Wide handlebar, heavy frame and the relaxed upright seating position provide a unique ride feeling. Additional comfort is offered by the wide balloon tyres. In the rear wheel you have our PUMA 500W Rear Wheel Conversion Kit. The EBS Hi-Power E-Bike Battery 48V 11.6Ah was custom made to fit into a gasmask filter can. 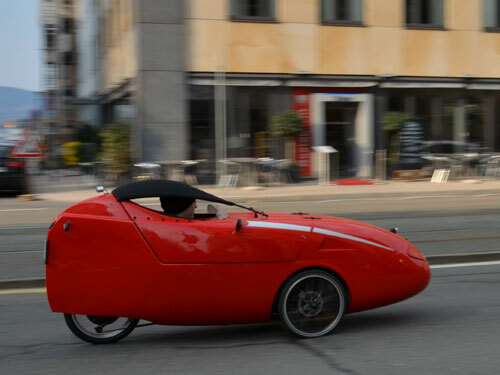 The go-one Velomobil is an innovative ultralight vehicle, made from a recumbent and a cabin made from hi-tech composite materials. The cabin protects the rider from the weather and radically improves the vehicle's aerodynamics. Combined with an electric motor the Velomobil offers a true alternative to cars and turns into a transport vehicle of the future. 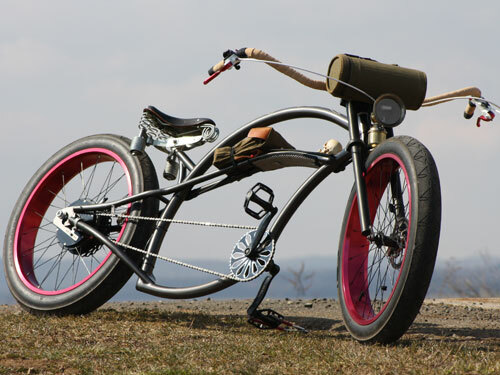 This Sunrider uses a Crystalyte Rear Wheel Motor with a custom made 48V EBS Hi-Power E-Bike Battery with 29Ah. Scooters are handy: they're light, nimble and easy to hop on and off. Combined with an e-drive the two major disadvantages will be eliminated. The somewhat small range is vastly increased by a battery of medium to high capacity. The effort necessary to conquer hills is eliminated by the electric motor which overcomes the dry spell. For the use in public roads in Germany, StVZO (German road traffic licensing regulations) apply, meaning operating license and license plate are mandatory. 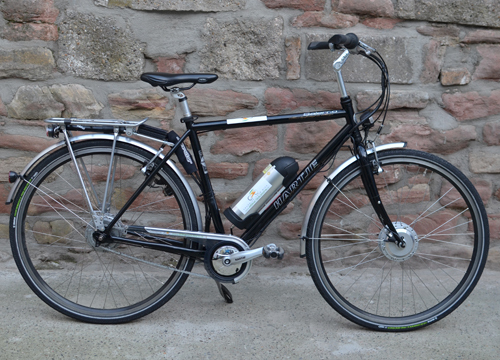 We retrofitted the pictured S-Roller with a Bafang SWXK motor and an EBS Pedelec Seatpost Battery. Now it gets you even more riding fun.